Would you like to sell our coffee at your own shop or do you have an office where you would like to have better coffee? Then this is absolutely possible! We sell our coffee also for wholesale customers. 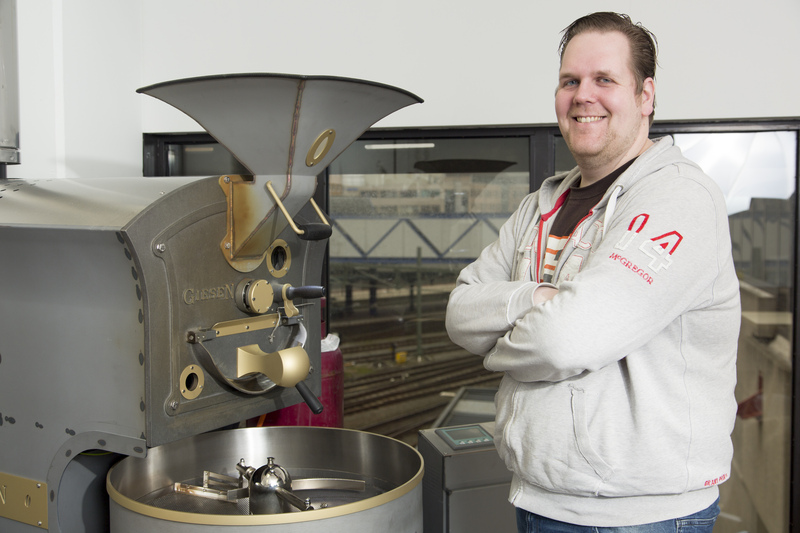 Our coffee is roasted on our Giesen W6A at our own microroastery in Groningen. When you order our coffee, we can ship it nationwide to you through mail on an invoice basis. When you live in Groningen we will bring it to you by cargo bike! We also ship abroad within the EU. When we do ship abroad, we get a quotation first from our shipping partner before we send it to you and we’ll discuss the terms. For inland shipping we rely on POSTNL to do the job. I you would rather like to do a pickup at the shop we provide the coffee in 1kg bags or for larger amounts in food safety buckets of 2kg, 4kg and 8kg from every Wednesday. The coffee is freshly roasted on every Tuesday. For orders and more details, please contact us at +31 613 165 729 or send us a message at gerben.engelkes@gmail.com or stop at the shop and taste our current offerings!